Axiom Estates has been the fastest growing provider of India property services globally since 2004. Over the last 10 years, Axiom Estates has tied-up with over 100 top developers of India that includes prominent names like DLF, Unitech, Godrej, Jaypee, Hiranandani, Lodha, Raheja, Shrachi, Sureka, Purvankara, Prestige and others. 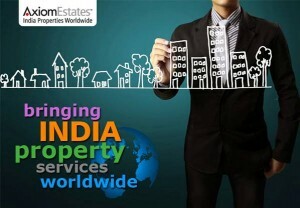 Axiom Estates is best placed to help you make an unbiased, well informed and hassle free property investment decision. Axiom Estates also has a prominent presence on the web with its website www.axiomestates.com that not only presents the best of properties across various Indian cities, but also provides the latest news in the Indian property market, stories on new policies, property trends across India and articles that guide potential investors to understand Indian real estate better before making any property investment decision. This entry was posted in Cities, Kolkata, Real Estate Marketing and tagged Axiom Estates, India Property, Real Estate Development, Real Estate Property, Real Estates on June 17, 2014 by admin.